India's largest wire-line service provider, Bharat Sanchar Nigam Limited (BSNL) has decided to extend Unlimited Free Night Calling Offer to serving Employees also. As per the latest information, all serving employees of BSNL in Group B, C & D having residential service landline telephone connection may also enjoy Unlimited Free local & STD calls to any network during night from 09.00 pm to 07.00 am. However, they are not entitled to enjoy 24 Hrs Unlimited Free Calls on Sundays. BSNL launched Unlimited Free Night Calling Scheme for its Landline and Broadband customers with effect from 1st May 2015 without any additional charges or increase in monthly rental. The scheme became popular among landline users in the country and later other private fixed-line operators also started offering Unlimited Free Calls. On 15th August 2016, BSNL announced Freedom Offer - True Unlimited Voice Calls from BSNL Landline to Any Network on All Sundays and that too without any additional cost to customers. To grab maximum number of new landline customers, BSNL launched a new Landline Plan @ just Rs 49/- monthly rental on the same day i.e. on 15-08-2015. With Landline 49 plan, a customer can make 24 Hrs Unlimited Free Calls on all Sundays + Unlimited Free Night Calls (from 09.00 pm to 07.00 am) on all other days by paying a monthly rental of just Rs 49/-. On September 9, 2016, BSNL launched another exciting Unlimited Broadband Plan @ Rs 249/-. This scheme was also launched in an attempt to revive BSNL's landline / broadband business. Both these schemes - Landline 49 plan & Unlimited Broadband 249 plan are extended till 30th September 2017 in all the circles exclusive to new landline and broadband customers respectively. 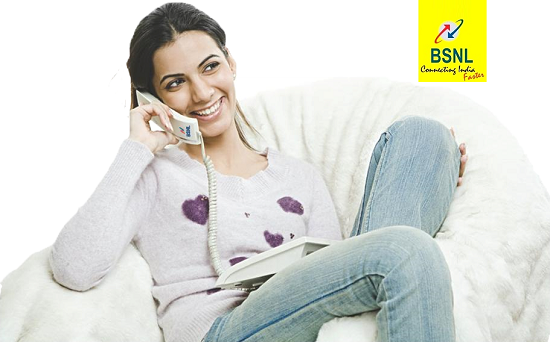 Dear readers, please share your views and opinions about BSNL Landline Services via comments with us. How many of you have faced difficulties in rectifying BSNL Landline / Broadband complaints ?